Your trusted source for Ohio insurance solutions since 1978. 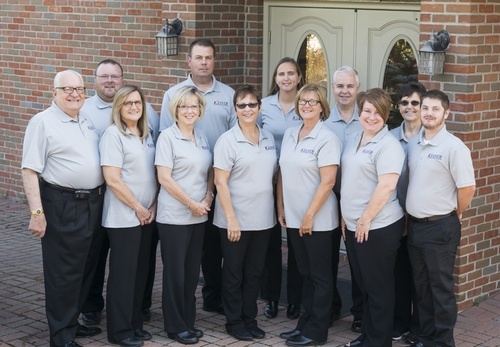 Kesner Insurance is a full service, independent Ohio insurance agency. We set ourselves apart from other Ohio insurance companies by offering only the highest quality customer service and insurance solutions. At Kesner Insurance, we secure the most comprehensive yet affordable personal and commercial Ohio insurance solutions that meet your specialized needs. We offer a large array of personal insurance lines including Ohio life insurance, Ohio home insurance and Ohio health insurance. We also provide quick and easy Ohio car insurance quotes to drivers throughout the state. When it comes to business insurance in Ohio, the agents at Kesner Insurance can offer personalized advice and recommendations to ease the process of selecting a policy. We can tailor our business insurance policies to meet your needs for a restaurant, convenience store or construction site. We also offer comprehensive employee benefits packages including coverages such as group health insurance in Ohio. We are focused on you and promise responsive services - no matter what. Since 1978, Kesner Insurance has been striving to be on the cutting edge of the insurance industry. Today we are a Ohio insurance agency with a history rich in insurance experience, giving us a distinct advantage over competing Ohio insurance companies. As a local agency we have the expertise to build an insurance package that best meets the requirements of you, your family and business.